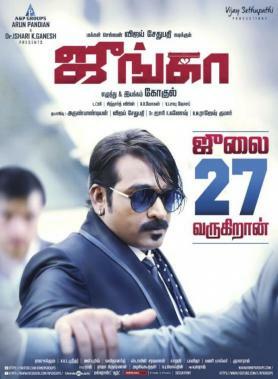 With the release date set for July 27, Vijay Sethupathi fans are now counting down the days to the release of the versatile actor’s next, Junga. Produced jointly under the Vijay Sethupathi Productions and Arun Pandian’s A & P Groups banners with rocking music by Siddharth Vipin, Junga directed by Gokul has hit the right notes with its promotions so far. Meanwhile, Gokul recently spoke about Vijay Sethupathi’s contribution to the film apart from being the producer saying the talented actor had performed an emotional sequence for eight minutes in a single take. Not only does this excite us furthermore, but has left us intrigued in a huge way for Junga coming out in the next few days. A mafia comedy film, Junga also includes actress Madonna Sebastian in a cameo role, who is expected to play an important part. Actress Sayyeshaa too is part of the film and she has been teased to be quite a fun character with Yogi Babu for the comedic relief and Saranya Ponvannan in a supporting role. >>Trisha And Vijay Sethupathi To Fight It Out! >>Junga: Vijay Sethupathi In Dual Roles!